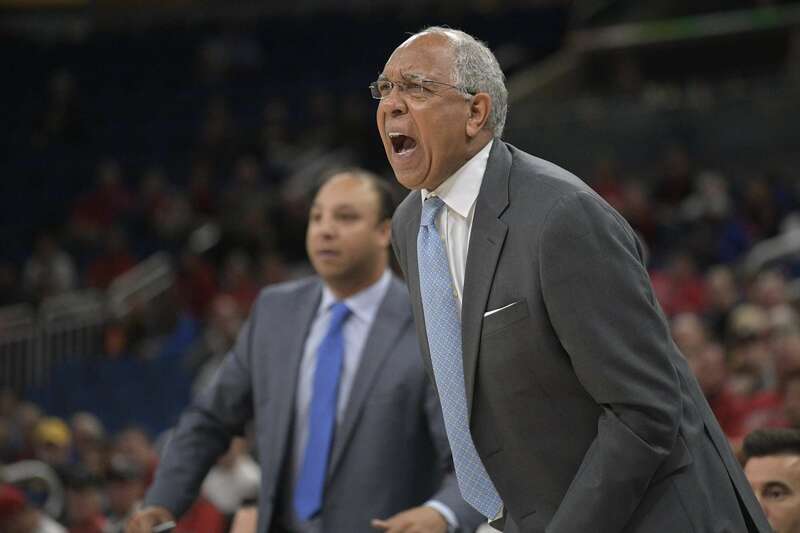 The High Point University Mens basketball team played an exhibition game to start the Tubby Smith era earlier in the week against a local Triad team the Guilford College Quakers. 1400 fans walked away with the honor of seeing High Point’s first game in the Tubby Smith era. Brandon Kamga lead all scorers with 19 points. Jahaad Proctor pitched in 13 and Jamal Wright dropped 15 points on Guilford College. It was as many would expect an exhibition game, laced with mistakes and areas where the team can improve. What did High Point fans learn coming out of this contest? One thing we noticed was highly anticipated Freshman Rob Peterson III, Buzz Peterson’s son from Charlotte got on the court and played solid in 18 minutes. He scored 3 Points, grabbed 5 boards, and added 2 assists. Another highly regarded Freshman Othello Smith from Brooklyn NY (no relation to Tubby) did not play. Smith is a 6’10 Center with a great post game and has a mid range game to go with thunderous dunks. This might have been a surprise to some to see Peterson play and Smith not play. Also missing was HPU’s biggest recruit in the modern-day of evaluation, 3.5 star Tim Cameron a transfer from UTEP who sat out last season and is eligible to play this season. The team also learned what they might look like offensively without last years leading scorer Andre Fox departing via transfer. Shooting across the board was not great against a team that a division program would be expected to crush and handle easily. HPU shot 47% from the field, a scary 51% from the charity stripe on 31 attempts, and only managed to connect on 27% of its three-point shots. Sr. Forward Rickey Madison turned in the stat line of the night with 14 pts and 13 Rebounds in 25 minutes. So Tubby’s entrance and welcome to HPU was an unassuming one. The team is playing with a coach that won a National Championship at Kentucky and was picked 7th in the newly aligned Big South. USC Upstate and Hampton both join the conference officially this season. Is it possible that 6 teams are really better than HPU who has by far the highest profile coach the school and conference has ever seen? Did fans get a true sneak peek at the program with Cameron and Smith not playing in the game? There are lots of questions still out there for the Panther faithful open at William and Mary on the road November 7th and then return home to face the Terriers from Wofford on November 10th. High Point will have a record 23 games broadcast between ESPN 3 and ESPN + this year which will no doubt help the University build its National profile and recruiting base.